Deep in the heart of western North Dakota is a land where the prairie flourishes in a rugged and rolling land of wild grass and badlands. This is the land that made Theodore Roosevelt the man who became president and conservationist. 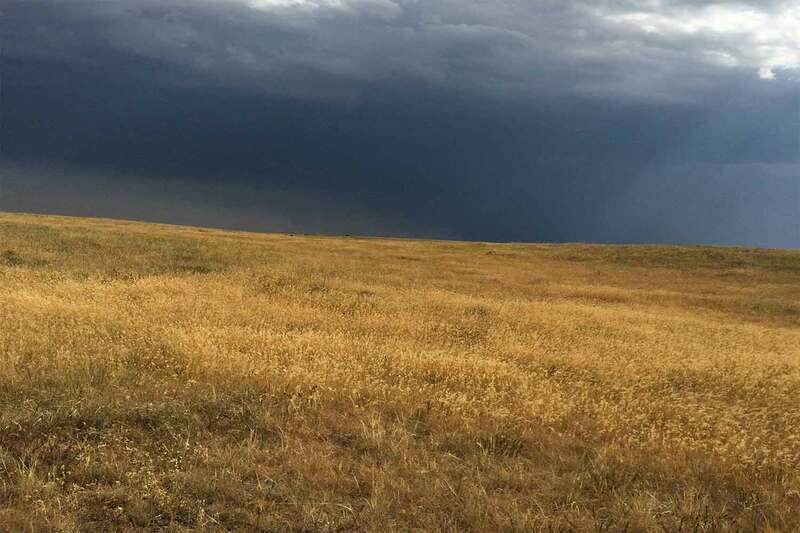 And this is MeadowLark Beef country, where free-grazing cattle lead peaceful lives in the sun, wind, rain and calm silence of the range, thriving on ancient native grasses like side oats, little bluestem, buffalo grass and blue grama grass as the bison before them. This combination of the rich, native prairie forage and the serenity of the badlands helps produce a beef like no other in the world. The rich flavor profile of our beef comes from our cows’ diet of drought-resistant native grasses that draw nutrients from several feet deep within the soil. Individual plants may be over 100 years old and it is this rare forage that gives our beef a character impossible to attain on cold-season, exotic grasses like red fescue, bluegrass, orchard grass and reed canary grass. Meadowlark cows are 100% free-graze, and hormone and antibiotic free. No grain feed is ever used. 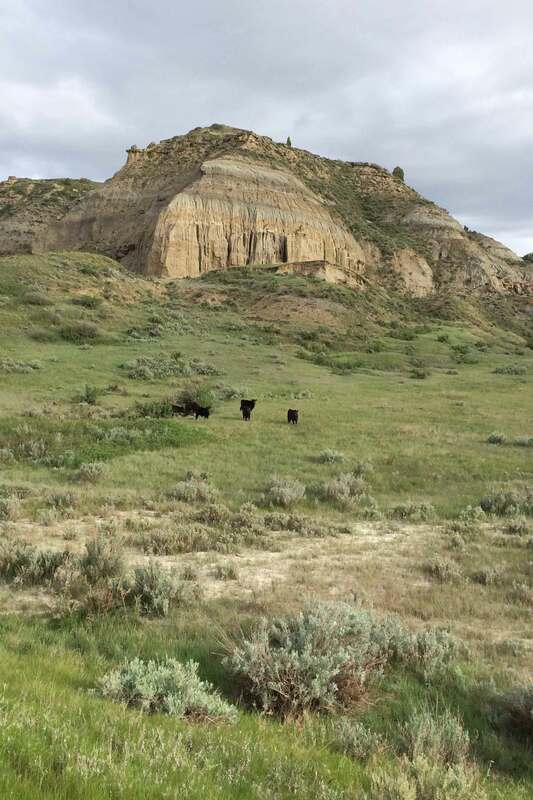 Our Black Angus, Red Angus and Texas Longhorn cattle roam over 17,000 acres of private land and range within the Little Missouri National Grassland that surrounds the Theodore Roosevelt National Park. 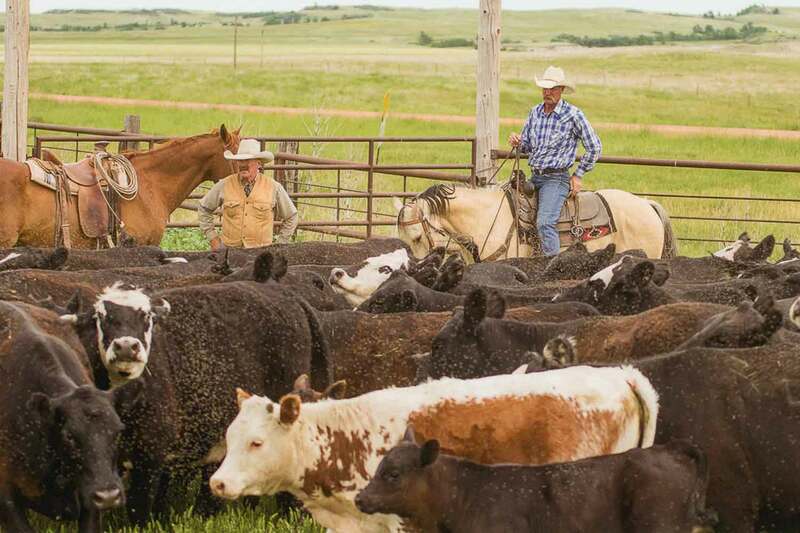 Market cows are raised for at least two years after weaning on the open prairie before harvest in the early autumn. 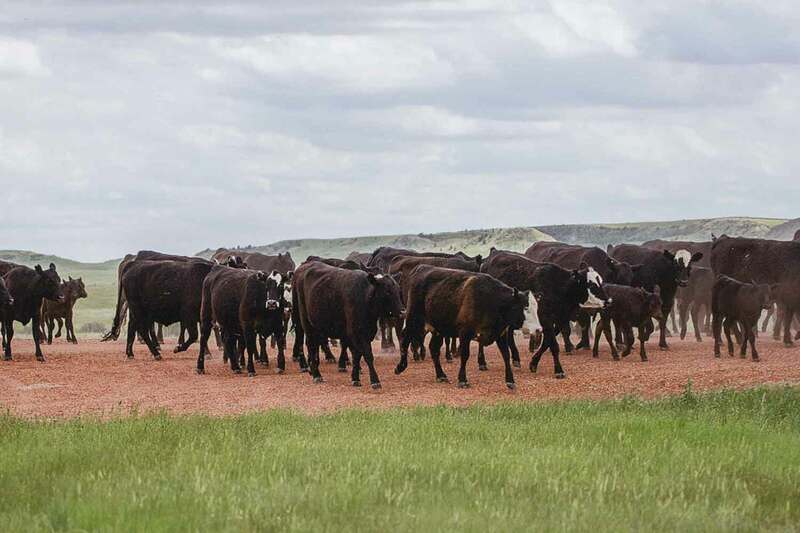 The late harvest of market cows after they have fed on the mature, brown prairie grasses whitens the fat in the marbling helps give MeadowLark Beef its unparalleled flavor. 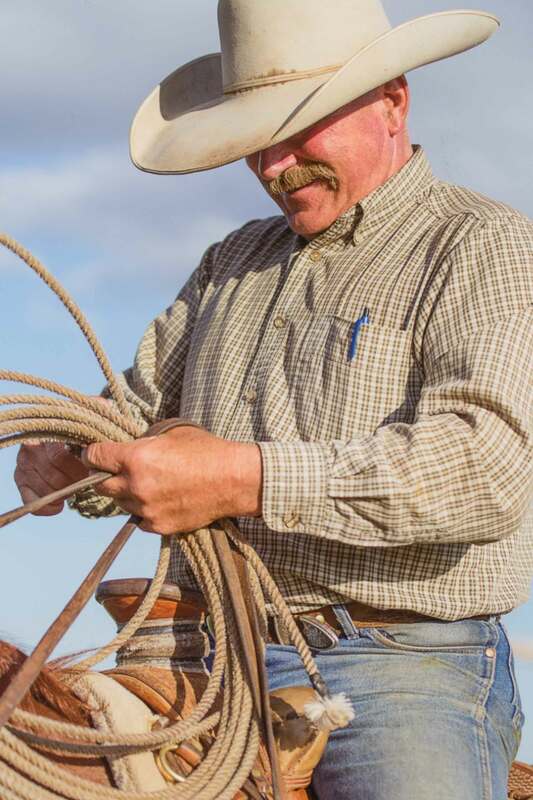 All our cows are raised on a traditional Western ranch by hard-working, self-reliant men and women who do their honest best to bring you a product they take great pride in. 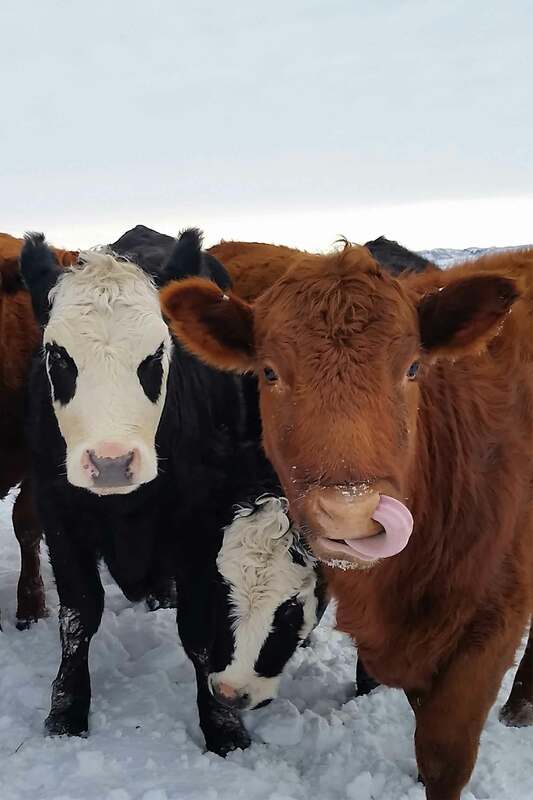 We honor the wildlife on our ranch as we treasure the life of each individual calf. 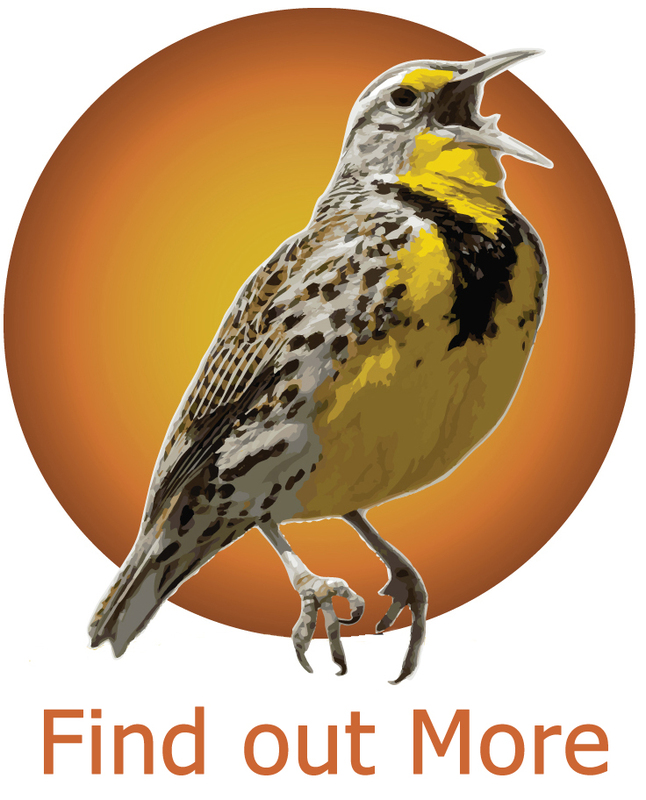 Our grazing is managed as lightly as possible to be in harmony with the many grassland nesting birds like the Western Meadowlark, Bobolink, Lark Bunting and Savannah Sparrow. The abundant mule deer, whitetail, grouse, cottontails, turkeys, jackrabbits and raptors, with the interwoven calls of breeding Meadowlarks that share the range with grazing cows are our affirmation of a land in balance.